This Tucker bridle is a popular slip ear style. 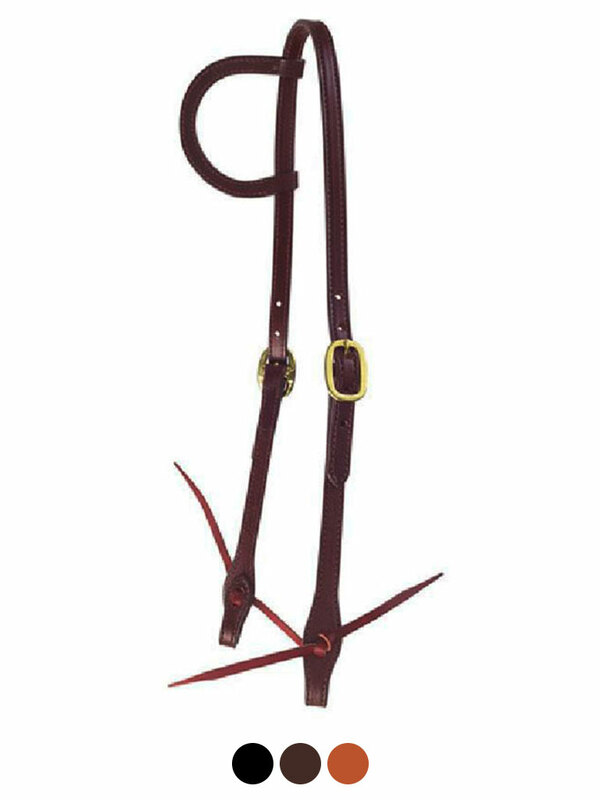 Made of fine bridle leather and with brass or chrome hardware. Horse size. Crown 22", Ear 10", Cheeks 10".